Monitoring how water is used for irrigation. Freshwater is important for our health, our economy, and our lifestyle. It is essential that we manage freshwater resources well. Organisations that manage freshwater need to balance many demands, including an increasing population and its effects on food production, recreation, and conservation. Part of managing any natural resource effectively and efficiently is knowing how much of it is used. In 2010, the Government introduced regulations that required the people and organisations that use large quantities of freshwater to measure how much they take. This was done with water meters. Local authorities were required to oversee the installation of these water meters. Before the Regulations were introduced, measuring water use was haphazard and inconsistent throughout the country. This is our first of seven audits that will look at how public organisations manage water. For this audit, we looked at how freshwater used for irrigation is tracked and measured. This included looking at how well water meter installation was managed, the quality of data collected from water meters, how the data was used, and whether this was leading to positive changes in the way water is used. We focused on five regional councils and one unitary council from six different regions. 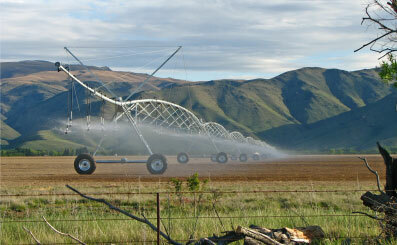 The six councils we looked at monitor about 90% of freshwater used for irrigation within New Zealand. Overall, these councils have implemented the Regulations effectively. Water meters have now been installed for almost all of the largest water takes. The six councils are starting to use water meter information to educate people and organisations holding water permits (permit holders) about how they can use freshwater more efficiently and to show how much water is used. However, the quality of data collected can be poor, there can be issues with data that is collected manually, and there is scope for more co-ordination between councils. Appropriate governance and management contributed to effective implementation of the Regulations and helped councils to overcome some initial challenges. These challenges included a shortage of companies to install water meters and historical legal and consenting issues. Most water meters have been installed for users of large quantities of water but more work is needed to increase the installation of meters for lower-use permit holders. In our view, councils that started rolling out metering and developing systems for storing meter data before the Regulations came into effect are now in a better position to use that information. There are opportunities for councils to improve the quality of their data. Electronically collected and telemetered data (data that is transmitted from a sensor to, for example, a computer server) can be timely and less costly to process than data that is collected or sent to councils manually. Although progress has been made, councils need to work closely with permit holders to improve the reliability of water meter data. It would be useful to review the Regulations to encourage permit holders to provide timely and complete data to councils to assist with their monitoring of water takes. The six councils we audited are working to encourage permit holders to use freshwater more efficiently. To do this, they are first improving the way they use their water meter data. Some councils integrate water meter data with climate, soil, crop variation, and irrigation strategy information to produce a more complete picture of water use and water allocations. This allows them to review, calculate, or potentially revise water allocations, which permit holders can compare to their actual water use as recorded by water meters and, if necessary, adjust how they use water. However, more could be done. In our view, there are opportunities for councils to use data and work together to support permit holders to change to more efficient forms of water use. Central government also needs to take the lead in co-ordinating knowledge and sharing practices that could result in more efficient use of freshwater. Information from water meters and the story it can tell us is important. There are also important lessons to be learnt from the councils that implemented the Regulations effectively. These councils prepared for system changes early, ensured good data collection, and integrated data from different sources to examine, review, and manage the use of freshwater resources. Integrating data from different sources will help councils to oversee the horticulture and agriculture industries in their regions in an informed and effective way. I have made four recommendations to help improve the quality of information recorded from water meters and how councils use this information. I thank the management and staff of the six councils for their help on this audit. I also thank staff from Horizons Regional Council, Waikato Regional Council, the Ministry for the Environment, and Ministry for Primary Industries who contributed to planning for the audit, and staff from Irrigation New Zealand, Forest & Bird, and Hilltop Software Limited.